Why many are needlessly incurring very expensive repairs and how YOU can avoid them. Most vehicles today have fuel pumps located inside the gas tank, one very important aspect to that, believe it or not, is that it is intended for the fuel in the tank to help keep the pump cool during operation. When the fuel level gets to a certain point and the fuel is not cooling it, the pump overheats and can cause it to fail. 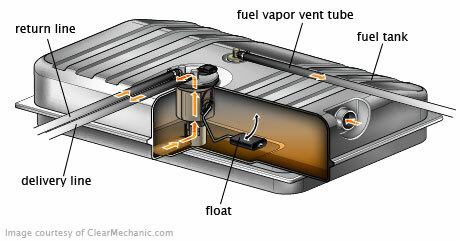 We often see a jump in fuel pump failures when the price of gas goes higher. Most fuel pumps are very expensive. It’s not uncommon to see prices that are in the $500-$1500 range and higher on some models. You can avoid paying that large sum of money! Although we will gladly take care of this repair should you need it, we want to help you avoid expensive repairs. There are many repairs on your vehicle that you cannot avoid; this is one that you can do something about. All you really need to do is maintain ¼ tank of fuel or more in your vehicle to make sure that there is enough to keep the pump cool, resist the temptation to wait out fuel price increases and you will save a lot more in the long run. Be sure to share this money saving tip with everyone in your family.